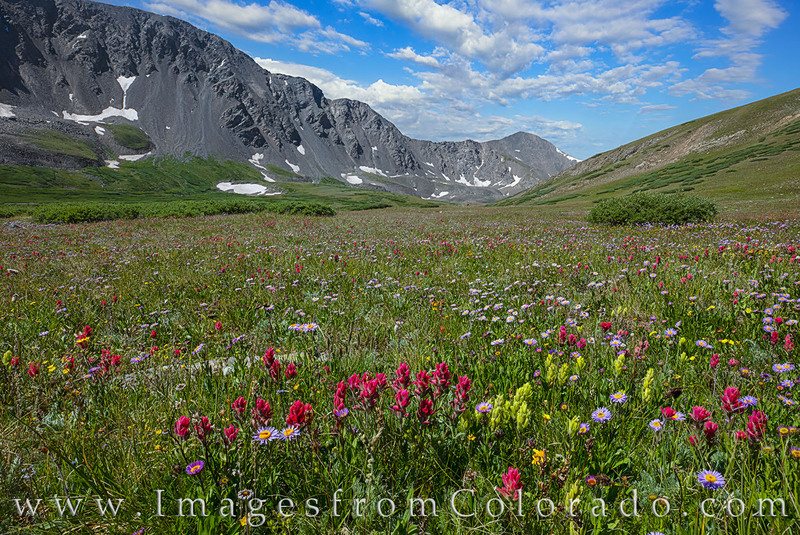 On the way up to Grays Peak along the path leading through Stevens Gulch, wildflowers lined the way as soft morning clouds floated by. Paintbrush, purple asters, daisies, and many other colorful varieties made the hike seem easy, and soon we were past the lush green valley and working on switchbacks at 13,000 feet. But this is a beautiful hike in the summer - just start early to avoid the crowds. Photo © copyright by Rob Greebon.